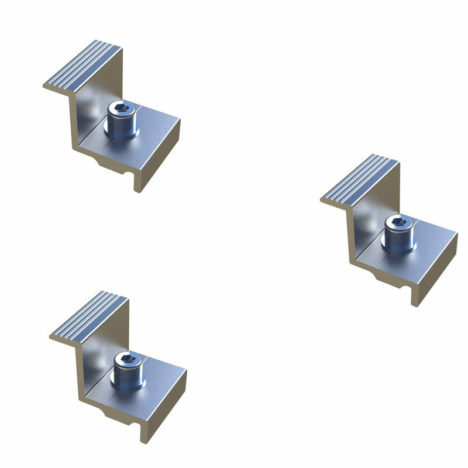 Our end clamp solar mounting components are using high quality anodized aluminum (AL6005-T5) which is complied with international stardards. Great tensile strenth and excellent anticorrosion. 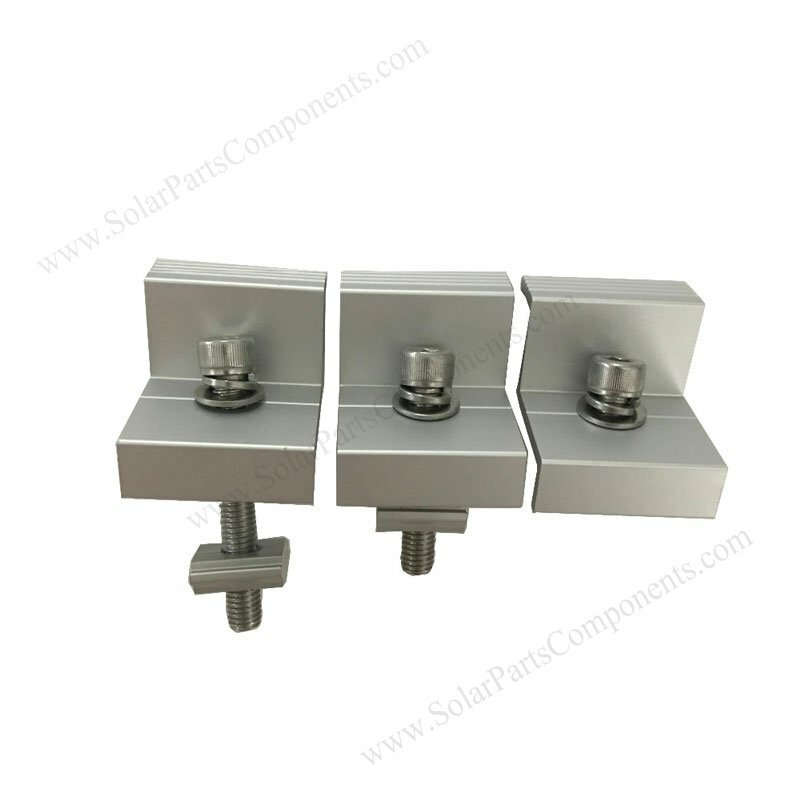 This solar mounting end clamps are designed for framed solar panels, the height can be from 35 mm to 50 mm. It’s used in the end of panels, fasten well and good corrosion resistance. We have natural silver or black color for choosing. The end clamp is a must for PV module installation, our specially designed can making it significantly stronger. 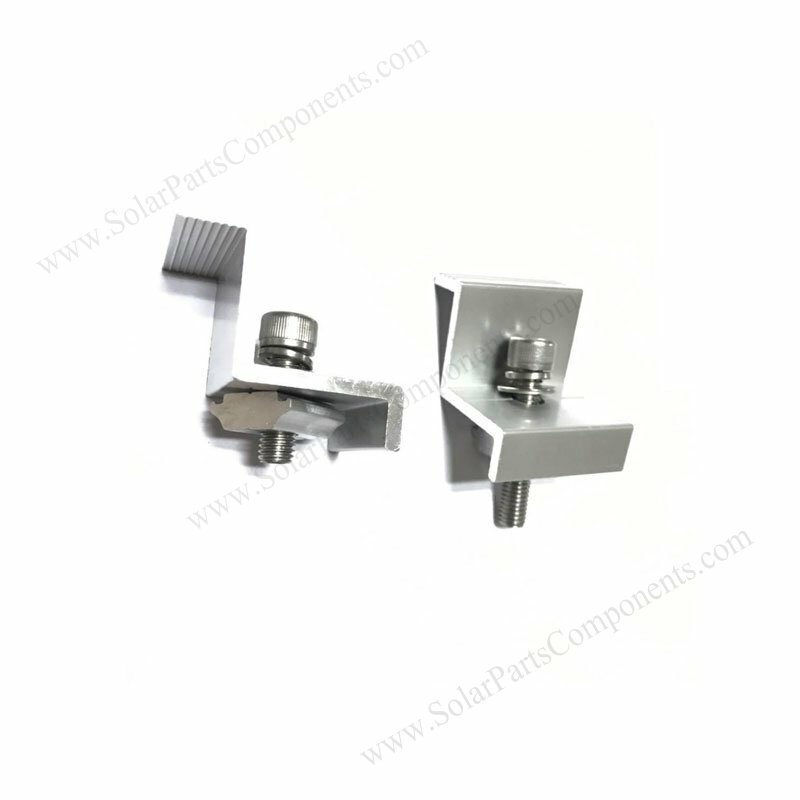 The fasten bolt is made of stainless steel, can be customized according to solar panel’s thickness. 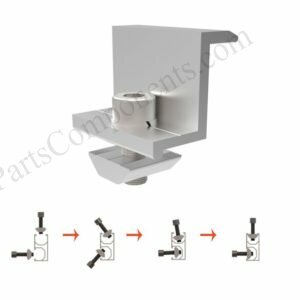 Our end clamp solar mounting brackets is suitable for whatever roofing or ground solar panel systems installation. 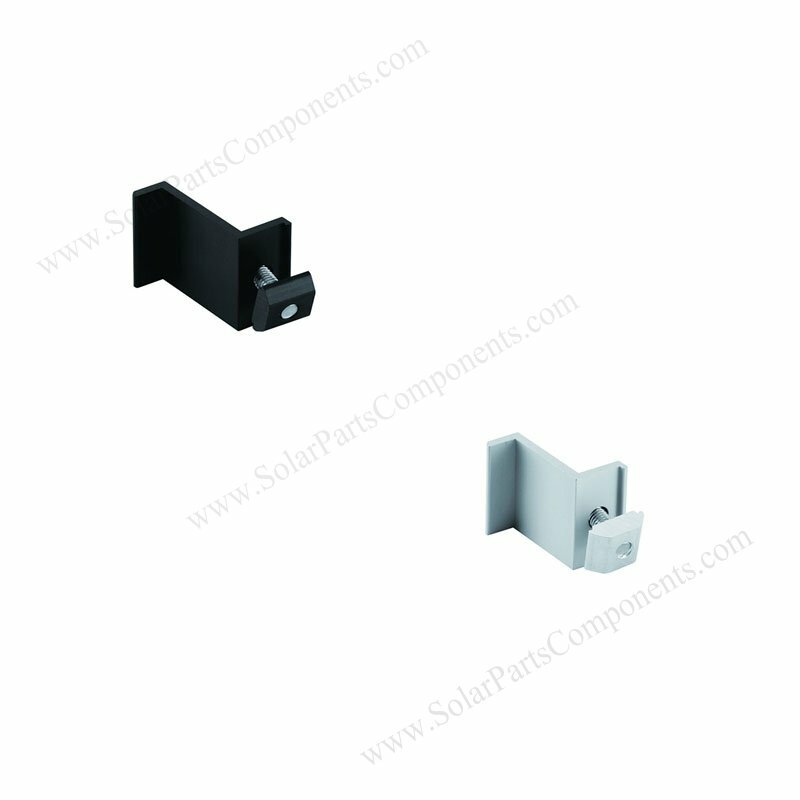 10-years Warranty for our solar clamp components, Quick response for after-sale service . Our aluminum end clamps can be widely-used for residential, commercial, remote area and marine applications . 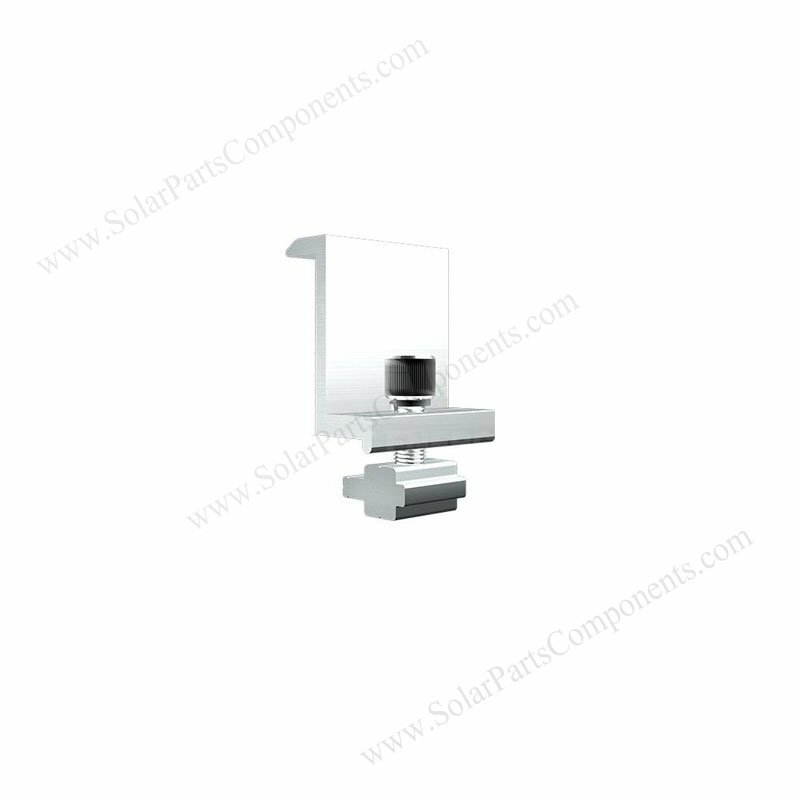 PV module end clamp series, pre-assembled, easy installation . Our default finish color is milling for our pv module end clamps , black color can be customized . Pre-assembled and pack in 100 sets per small carton box . 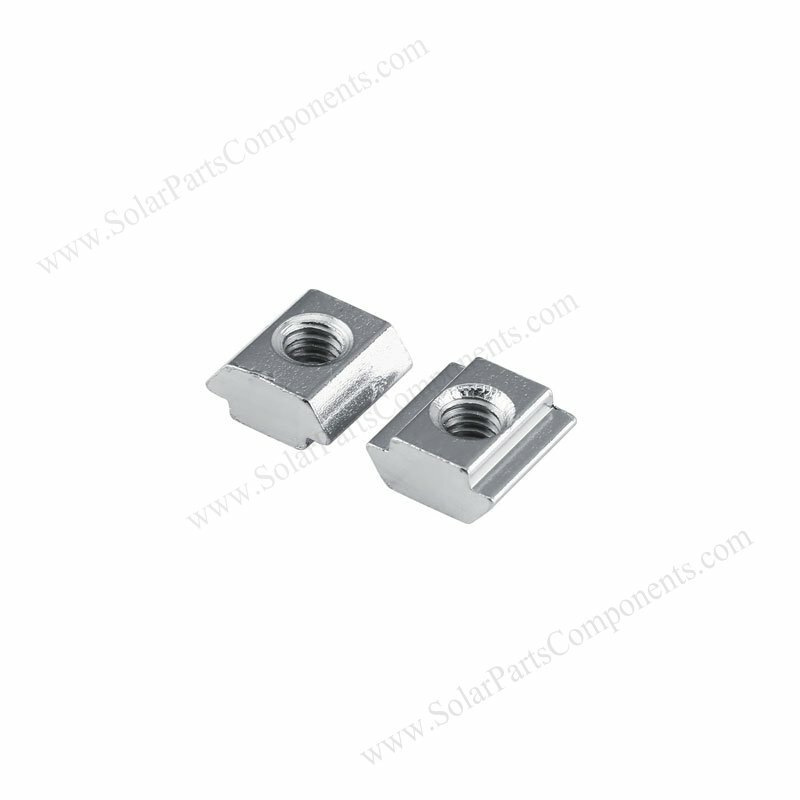 We have several sizes options such as 30 mm , 35 mm, 40 mm, 45 mm, 50 mm … fits to solar panel frames . 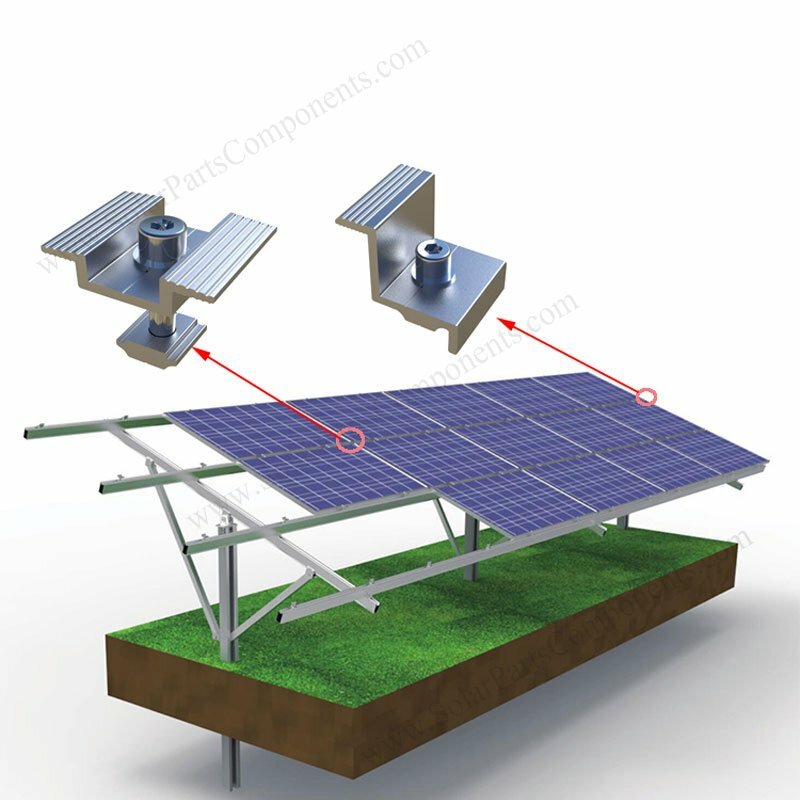 End clamps are used to attached to the ends of solar panels with aluminum rails . 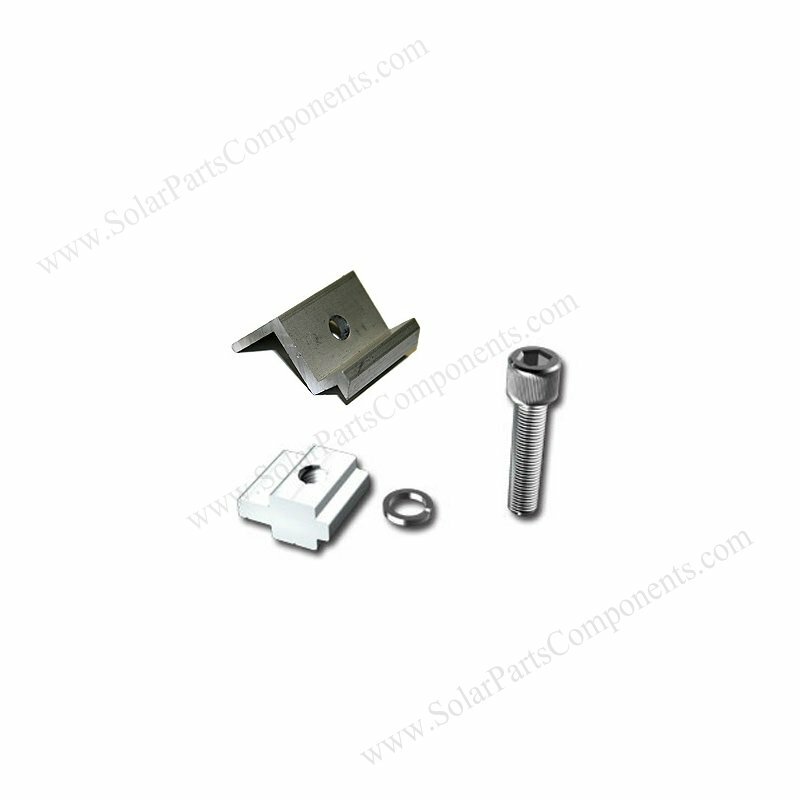 The whole set of PV end clamp kit includes : aluminum end clamp, sus304 allon bolt , washer and flange nut .